All members of Hastings Writers’ Group were invited to contribute either prose or poetry to our showcase anthology of work Strandline. Volumes 3-10 were also illustrated. Up to and including Volume 7 this was a yearly anthology but later ones are now every other year. 2007 was the Diamond Anniversary year for Hastings Writers’ Group and we wanted to do something very special to mark it. We felt we should use our talents to give something back to the community, to help other people in some way. 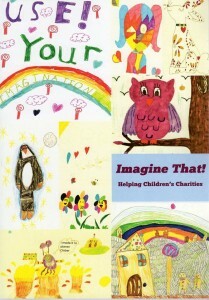 We therefore decided to self-publish an anthology of childhood memories specifically to raise funds for charity. Because a Diamond anniversary celebrates 60 years, we wanted 60 people to take part and we therefore invited other locally-connected people (both writers and non-writers) to join in what became a community project. As a bonus and contrast, we also included six modern-day children. Childhood memories of wartime, the coronation, schooldays, family life, friends, activities, coping with a disability, living in other countries and aspects of growing up were all included, as well as childhood today. Some of the contributors were published writers but others had never written for publication before or even thought they could. Members and ex-members of Hastings Writers’ Group were joined by members of Shorelink Writers, Illiterati and the late Alan Fisher’s writing class. Both Houses of Parliament were represented by Michael Foster, MP, and Baroness Fookes. People with dyslexia, visual impairment or other difficulties and disabilities contributed. We also had a piece written by one of our members when he was a schoolboy in detention back in the 1940s! The criteria for contributors was that they either lived, worked or went to school here at some point in their lives, or belonged to some local organisation. As the book was about childhood memories it seemed appropriate that children should be the ones to benefit. We chose three different charities, rather than just one, to help as wide a range of children as possible: very sick children, visually impaired children, and children in care. Demelza House Children’s Hospice was chosen because it provides hospice care to life-limited children and young people in the East Sussex area as well as those from Kent and South London. The Demelza House building is based on the style of an old Kent farmhouse and, as we found out on our visit to Demelza’s Open Day – everything has been carefully and lovingly planned down to the last detail. The Demelza motto is: ‘Giving life to days when days cannot be given to life’ and certainly everything imaginable has been thought of to help create treasured memories and give loving care. RNIB Talking Books was chosen because, as writers who love books and reading, we feel for those unable to see to read. Imagining a life without books really made us think. ‘Children may have to live without their sight but they shouldn’t have to live without the magic of books.’ Therefore the RNIB share of Diamonds profits was used to sponsor a new talking book title for visually-impaired children to enjoy and one of HWG members Kate O’Hearn’s books was chosen. Xpress Yourself magazine was part of a local Hastings-based charity. This special free interactive publication was produced for children and young people in care and the pages contained many of their contributions. ‘Xpress Yourself provides a way for children and young people to air their views and communicate with each other as well as read about things that are important to them.’ Seeing their work in print helped to build up their often low self-esteem, due to traumatic backgrounds and major life-changes. As writers, we felt supporting an unfunded magazine was very appropriate. The patron was best-selling children’s author Jacqueline Wilson. For the cover of Diamonds we asked contributors for childhood photos and one of our members (Ron Nicola) painstakingly worked on these to create an eye-catching Diamond design. We did all the set-up and formatting of type ourselves, ready for a local printer. He very generously gave us a half-price starter boost for the first 250 copies. As well as the book, two CDs – each with 10 selected stories – were produced by one of our members (Janet Kates) and her husband at minimal cost, which meant it could be offered to those with a visual impairment or anyone preferring to listen rather than read. These made a popular additional selling opportunity. Later, at their own expense, the RNIB chose to record the complete Diamonds book for their Talking Books library. 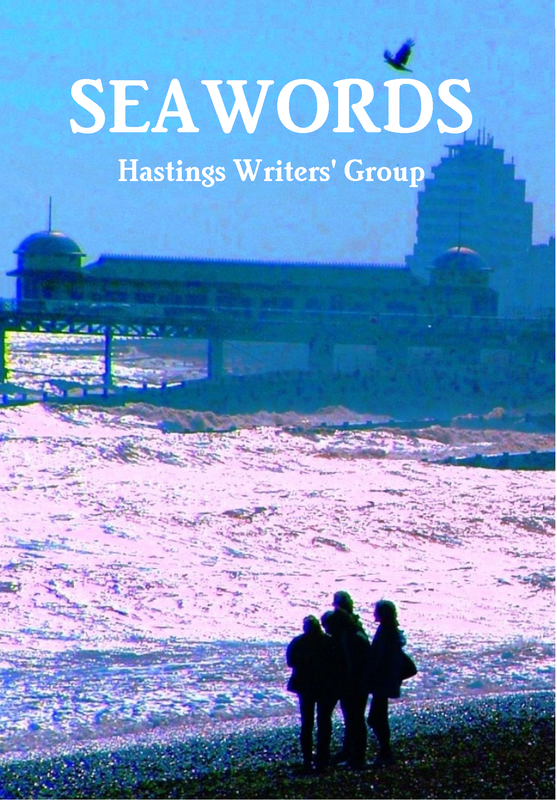 Sales have been made via our local Hastings Tourist Information Office and via bookstalls at fetes, fairs, bazaars and open days – wherever we could find a suitable venue, or by post, and of course the contributors themselves bought copies. Two of us (Kate O’Hearn and Rosemary Bartholomew) had a stall and sold copies at a Demelza Open Day. Diamonds was launched in April 2007 at a special event held at the White Rock Theatre, in the Sussex Hall. We had a compère, speakers, readings, and Kate O’Hearn created some beautifully eye-catching stalls. The first half-year profits at the end of October were £2,400 and we went on to raise another £600+. Presentations to two of the charities were made in public and for RNIB three of us travelled to London to present the cheque and also to see Kate O’Hearn’s Pegasus book being read and recorded. Putting the Diamonds book and CDs together and selling them was a very great deal of hard work, but a lot of fun too; it’s the best and most successful thing HWG has ever done and gave us a lot of very positive publicity.